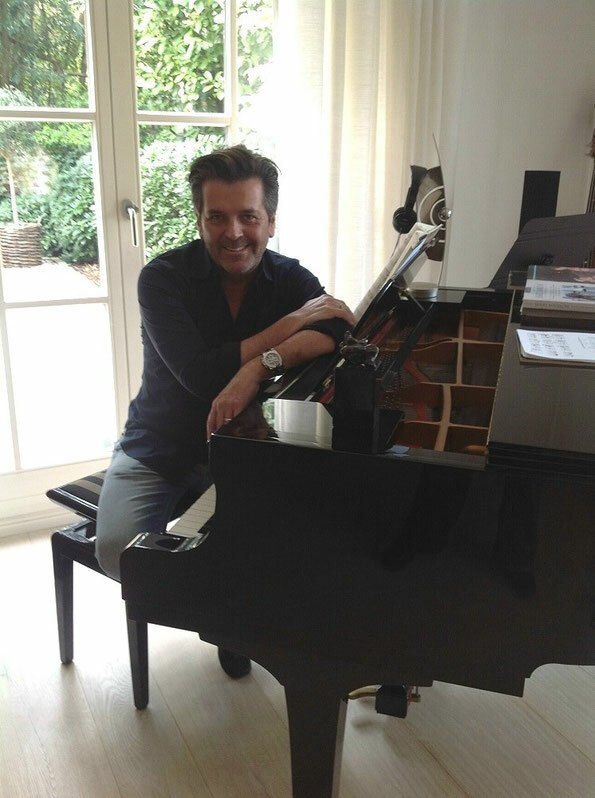 Welcome, dear fans ..... - Thomas Anders Online - Die offizielle Fanpage! ...many of you are asking themselves what I do when I don`t travel, when I don`t perform shows or concerts. My working area at that time consists of my desk with computer and telephone. Quite often I have to answer up to 30 telephone calls a day or I am working on an interview the whole day. Just like yesterday. I was asked to answer 30 questions for an American author, who is writing a book about the 80`s. Doing this I got conscious of the fact that I have been on stage for a really long time, this year it is my 45th anniversary and 36 years ago I signed my first recording contract. This is incredible. I must say that even after all these years it is great how you´ve been supporting me as my fans. There are exciting times as well as moments that could be annoying, but you´ve always been by my side. Thanks a lot for that. One thing I can assure you: I´m still having much fun making music and being on stage. Times have changed in this business. It hasn´t become worse, but it is different nowadays. This is also what makes it interesting for me. I feel I´m forced to develop new ideas every day and then to decide which are the ones that could be successful. At times it could also be exhausting. I don`t have a 9 to 5 job, not indeed, I get up in the morning accompanied by music and in the evening I go to bed with it. This could be rather tiring, but it is the price you pay for being a creative person. I still love my music and I`m looking forward to many exciting years! Have fun on this website!